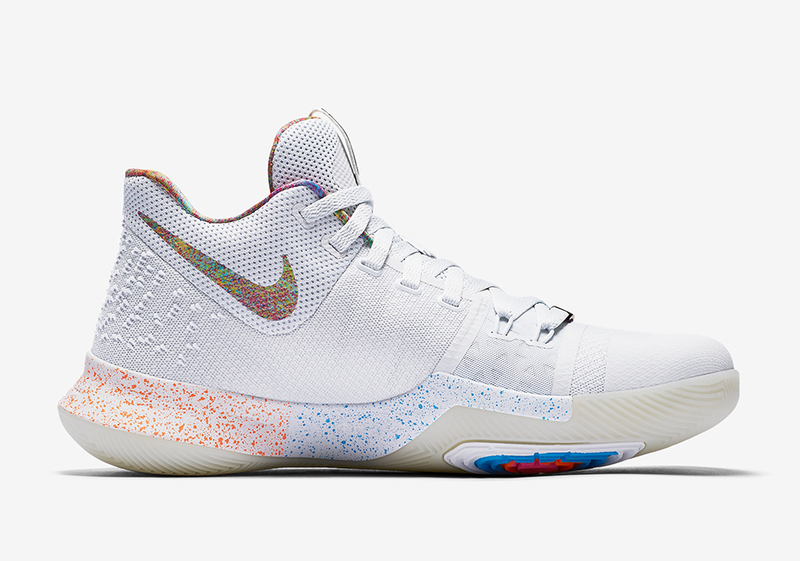 Updated May 6th, 2017: The Nike Kyrie 3 “EYBL” releases on May 13th, 2017 in-store only at Foot Locker House of Hoops in Harlem NYC. 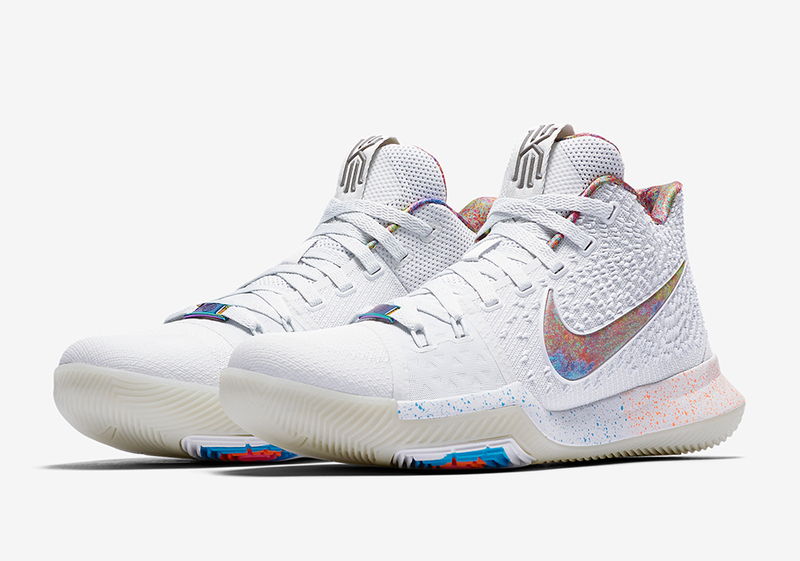 It looks like Nike Basketball is releasing their annual Elite Youth Basketball League PEs after all, as official images of the Nike Kyrie 3 “EYBL” have surfaced. 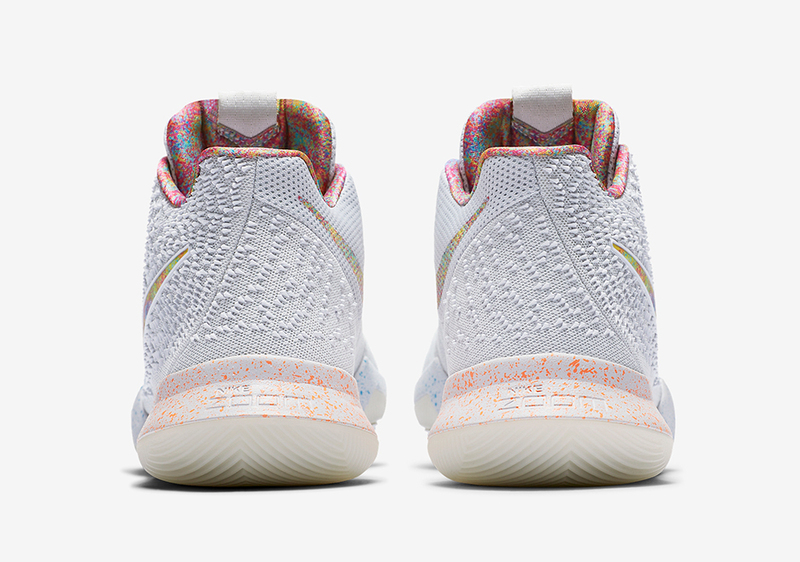 Kyrie Irving is currently busy making Raptors defenders look foolish during the 2nd round of the NBA Playoffs in some head-turning new Kyrie 3 PEs, and now you’ll have a chance to grab this player exclusive handed out to some of the best high school players in the United States later this month. 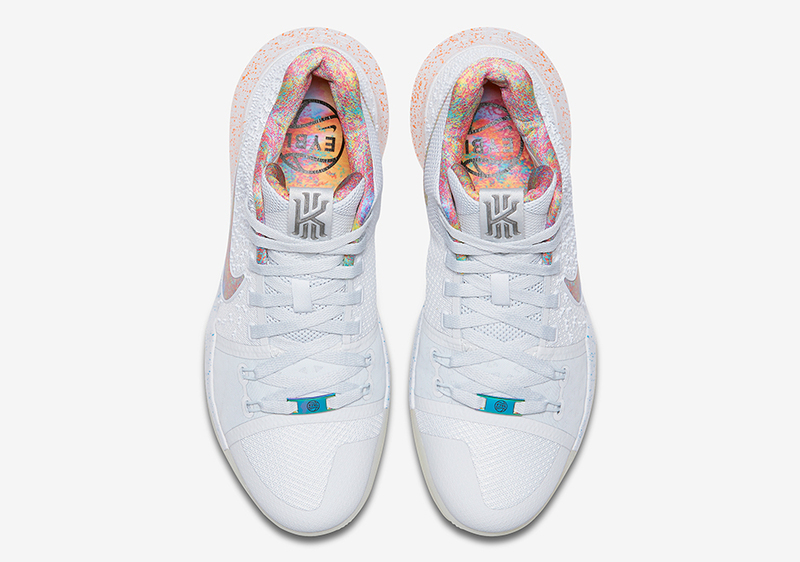 The Nike Kyrie 3 EYBL features a clean White and Pure Platinum mesh upper with Multi-Color shades on the Swoosh branding to match the hypnotizing randomness on the shoe’s inner lining. 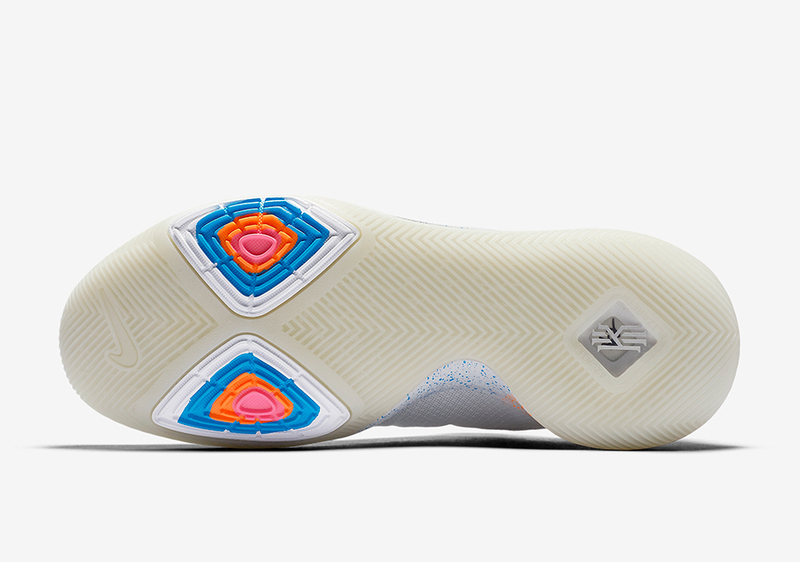 This Kyrie 3 also features half orange and half royal blue speckles on the midsole for an interesting twist. 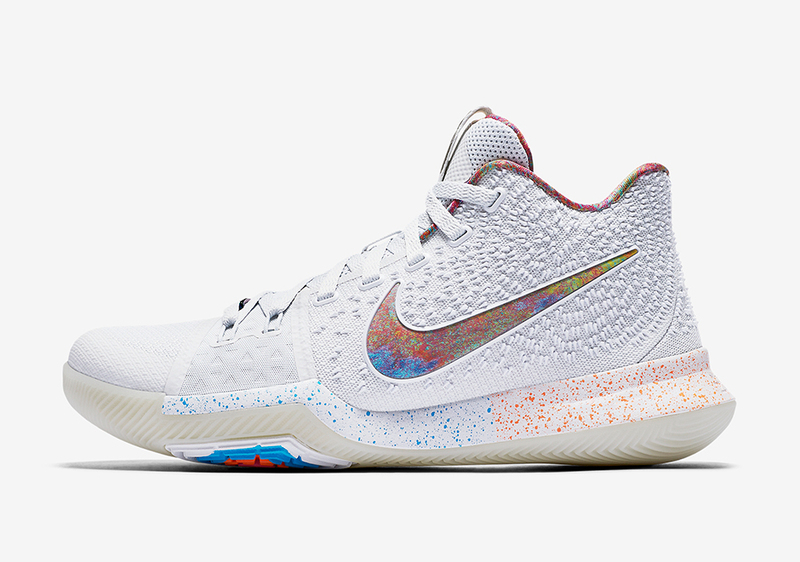 What do you think of the Nike Kyrie 3 EYBL? 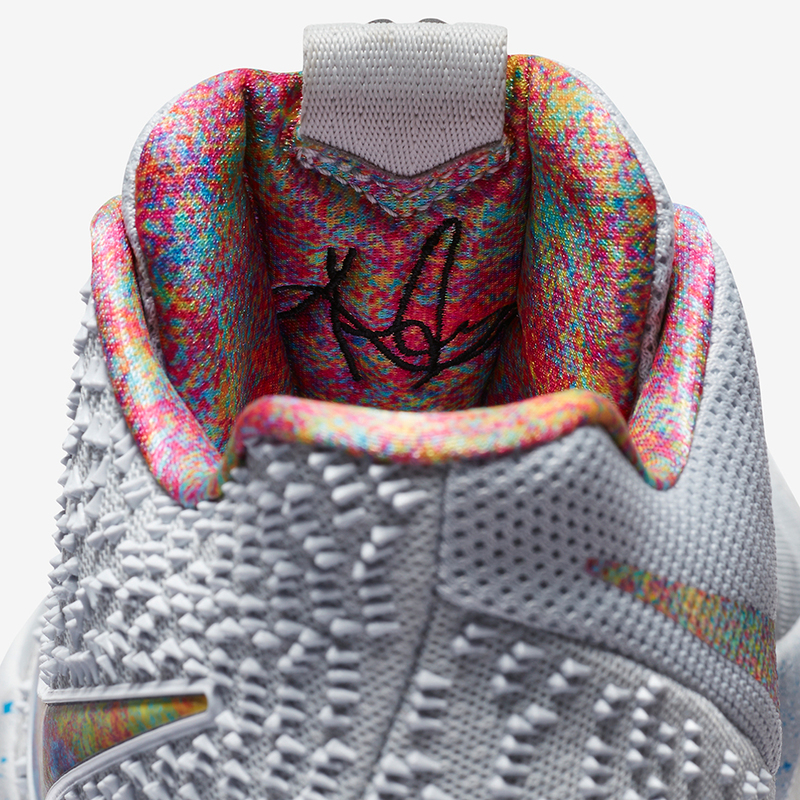 Check out more detailed shots below and stay tuned for a Release Date right here on Sneaker News.